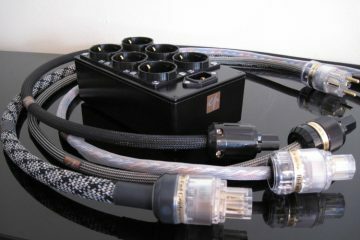 A friend came along with these cables. He had bought two pairs after he heard the immense openness they provided in his system. 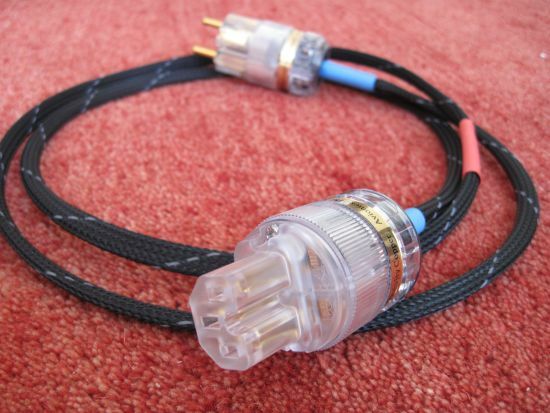 He was a bit wary of the connectors though, but the salesman assured him that if they had made a difference, surely the manufacturer would have supplied the cable with better ones. Well, let’s say that the friend was glad that he brought them to me because the difference was not at all subtle! 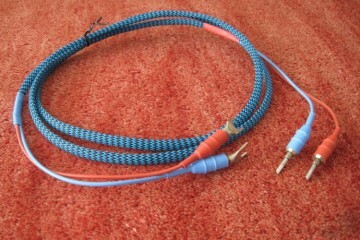 Above is the ASI Liveline cable as it comes from the shop. 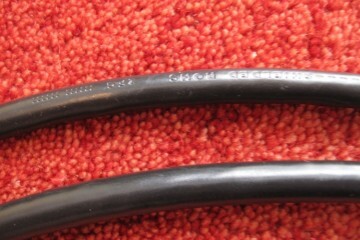 You can’t see it very well on this picture, but the connectors are extremely affordable Yarbo “red copper” types. This may sound exciting but red copper is just plain ordinary copper. And because it’s not plated, it also corrodes quickly. At least, that is how it looks upon inspection. The pins are not shiny but appear smudgy. 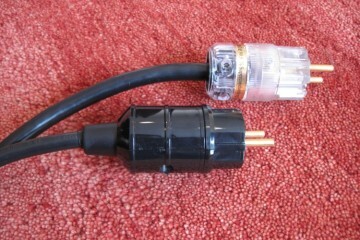 The connectors feel very light and do not install a great deal of trust. 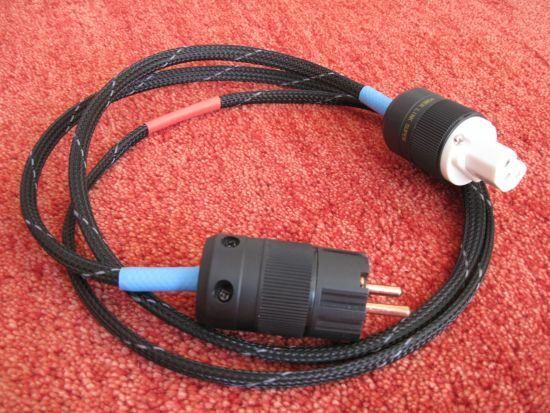 But, as the salesperson said: why pay extra for fancy connectors if they don’t add to the sound. In audio you never know and they may just have been selected for their particular properties. 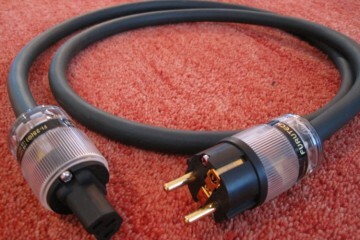 Still I wanted to know if IeGO’s would help cure the cable’s inherent very dry and lean character so I proceeded with the IeGO’s. 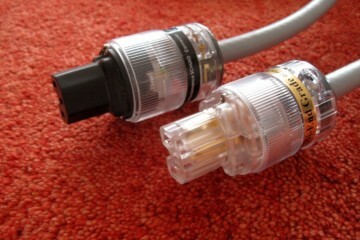 Above you see the cable and connector used. 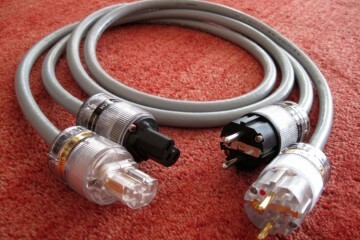 The cable is solid core copper for both phases and pure silver for earth. The phase is indicated wrongly but that shouldn’t hurt the sound. 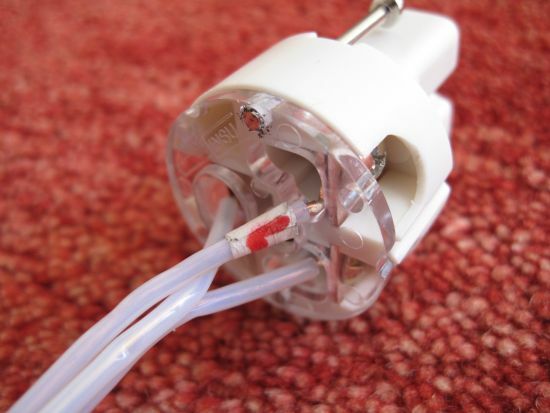 After all, the conductors for phase and neutral are identical and the indicator is merely a guide for the person connecting the wires. A closeup of the Yarbo connectors. 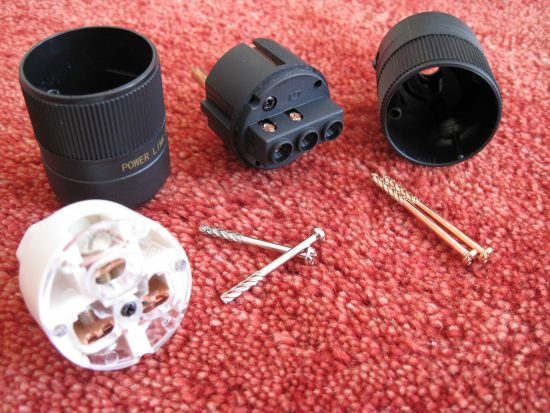 Very lightweight casings and strange screws that have a very coarse tapping. 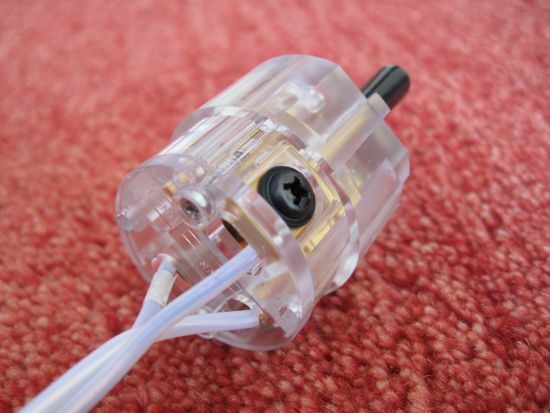 Be careful with these because you can easily turn them too fast and ruin the thread in the plastic. In comes the IeGO schuko. I connect the conductors exactly as they were. Including the originally misfit Phase indicator. However, the proof of the cake is in the eating they say so I quickly connected the cable to the same CD player that I tested the stock ASI cable on before: a Mark Levinson No.390S. Well blimey! There is a difference, and it isn’t subtle! 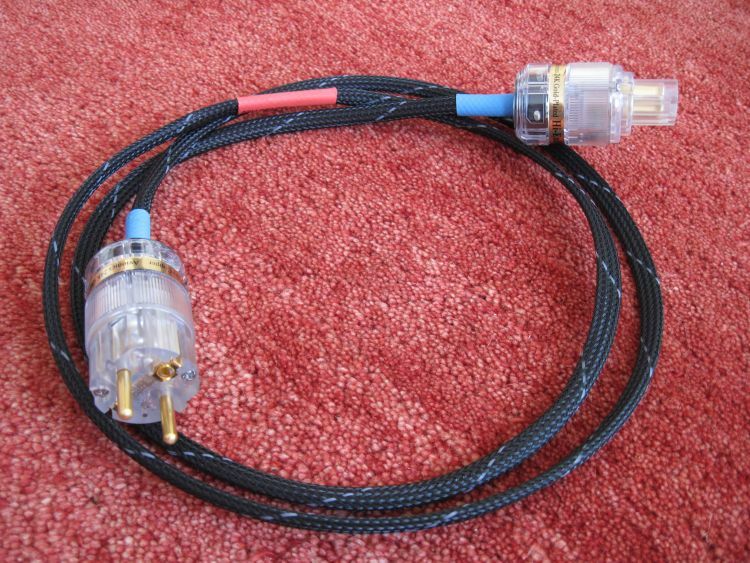 The original cable was very dynamic, open and detailed but it was also very dry, lean and lacked air in the treble. With the new IeGO’s, even still brand new, it already played in an altogether different league! Now the treble was airy and fluid, no coarseness at all anymore. The cable retained its basic open character but gained a lot of flair and refinement.